A Queen’s graduate and former member of University staff, Professor Ron Perrott, is to receive the Distinguished Service Award from the Association for Computing Machinery (ACM) – the world's largest educational and scientific computing society. Ron Perrott graduated from Queen’s with a PhD in Applied Maths and Physics in 1969 and was a long-time Professor of Software Engineering at the School of Computer Science at the University. The former director of the Belfast e-Science Centre is currently a visiting professor at the University of Oxford’s e-Research Centre. 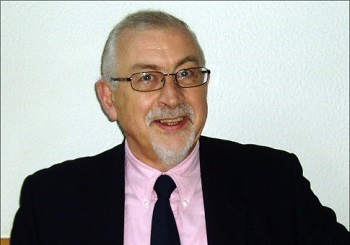 Selected by his peers for providing vision and leadership in high performance computing and e-science, championing new initiatives and promoting collaboration among interested groups at both national and international levels, Professor Perrott has been an advocate for high performance and grid computing in Europe since the 1970s. The ACM Distinguished Service Award is presented on the basis of value and degree of services to the computing community at large. With nearly 100,000 members, ACM is the world’s largest and most prominent computing society. ACM strengthens the computing profession's collective voice through promotion of the highest standards, and recognition of technical excellence. Throughout his career, Professor Perrott has worked tirelessly and successfully with academic, governmental, and industrial groups to convince them of the importance of developing shared resources for high-performance computing at both national and regional levels. Ron’s efforts to advance parallel processing include being chair of the UK’s High Performance Computing Strategy Committee and a founding member of both Euro-Par, the premiere European conference on parallel computing, and the ACM Special Interest Group on High Performance Computing (SIGHPC). He was also a founding member of the UK Computing Research Committee and has contributed to strategic IT developments in over 12 countries worldwide. He chaired a European Union Working Group on grid computing and was an initiator of the EU Network of Excellence in grid computing, which involved over 40 institutions. In addition to his activities within the British and European computing communities, Ron Perrott has given significant service to the broader international community, including the development of programmes to stimulate and increase participation in major computing conferences. A Fellow of the Institute of Electrical and Electronics Engineers IEEE and the British Computing Society, Professor Perrott will be formally honoured at the ACM Awards Banquet on June 11 in San Francisco. For more on the ACM Distinguished Service Award contact Jim Ormond, ACM Communications; tel: 001 212 626 0505.